Well friends, this is it, the LAST post of Crocktober! I just want to take a minute to say thank you for this super fun journey! I can honestly say that I have fallen in love with my slow cooker and you can look forward to many more posts in the future! But fear not! 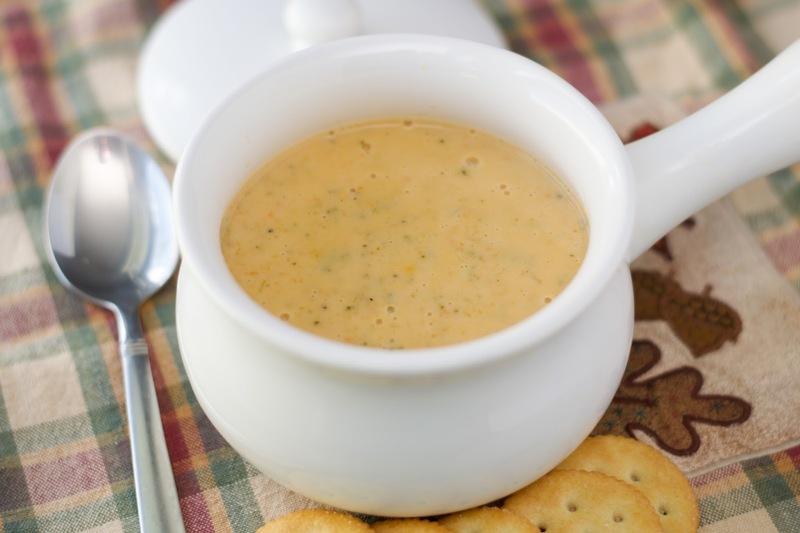 I saved THE BEST Crocktober recipe for last, Crockpot Broccoli Cheddar Soup! To begin you will add the broccoli to your crockpot. Next add the grated carrots. Next add the dried onions, garlic powder, salt, and pepper. Of course you can use a fresh onion if you like. Now add the chicken broth. And cook on LOW for 4 hours. After the 4 hours this is what your soup will look like. Something that I like to do, but isn't necessary is chopping up the broccoli florets. I have this nifty thing from pampered Chef, but a potato masher will work as well. Now you can cut your cheese into large cubes. Add the cheese to the crockpot, cover, and let cook for 15 to 20 minutes. Now I know what you are thinking "MANDEE!!! WHAT HAVE YOU MADE ME DO!?! THIS LOOKS HORRIBLE!!!" Calm down, calm down. Everything is fine. Just...Start...Stirring. Yes, you are going to stir and watch the magic unfold right in front of you! Look at this gorgeous, silky smooth, broccoli cheese soup in front of you. It is Absolutely MOUTHWATERING! 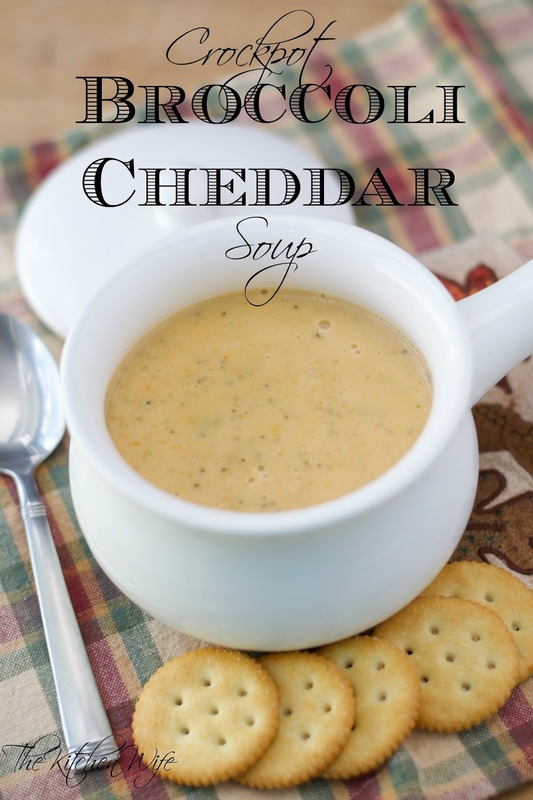 You are going to love this Crockpot Broccoli Cheddar Soup so get in the kitchen and make it TONIGHT! Place the broccoli, carrots, dried minced onion, garlic power, salt, and pepper in to the crockpot. Pour the chicken stock over everything in the crockpot. After 4 hours add the cheese to the crockpot. This looks yummy. I am going to have to try it. did you just use regular salt or kosher salt? It is SO yummy and super easy. I actually used regular table for this recipe and it worked great, but I personally am always a fan of Kosher salt. I just didn't have any at the time. OH YAY! I would love to hear about what you thought! Sorry I am just now getting back to you on this!